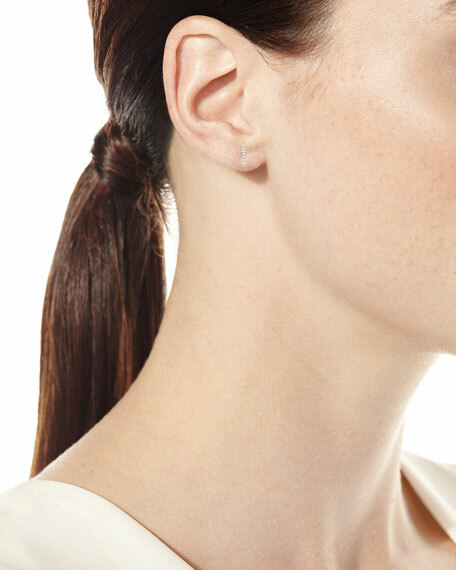 Ef Collection stud earring (sold as single). 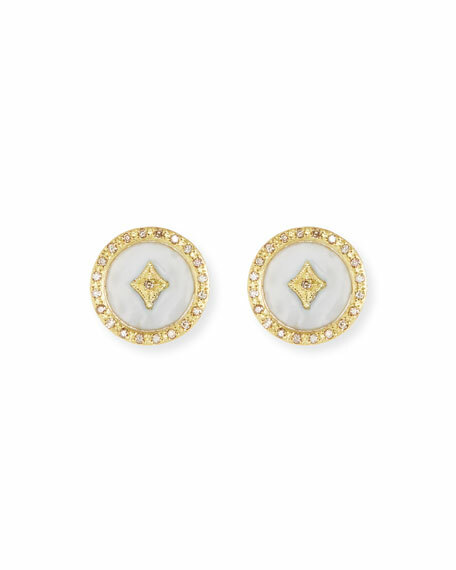 Armenta stud earrings from the Old World Collection. 18-karat yellow gold and blackened sterling silver. Champagne diamond pav disc with crivelli. 0.26 total diamond carat weight. Approx. 0.4" diameter (10mm). Post backs for pierced ears. Made in USA. 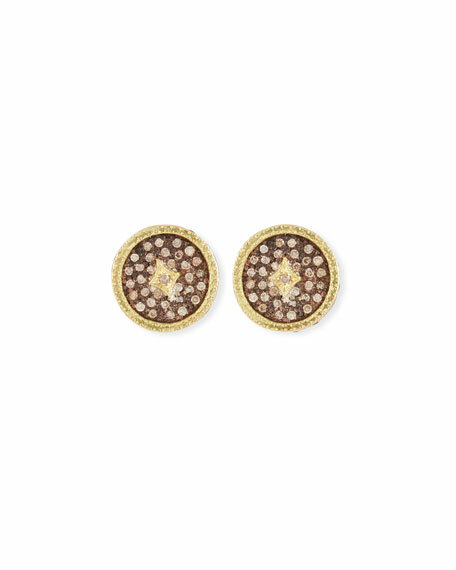 Phoenix stud earrings by Elizabeth Cole. 24-karat yellow gold plated brass posts. 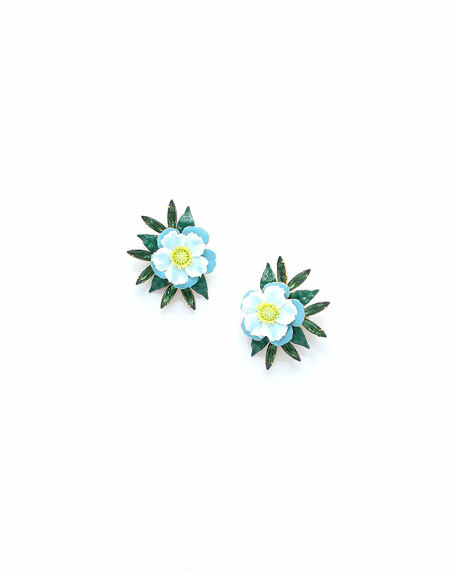 Baked enamel and clay flower motifs. Swarovski crystals at center. Post backs for pierced ears. Made in USA. 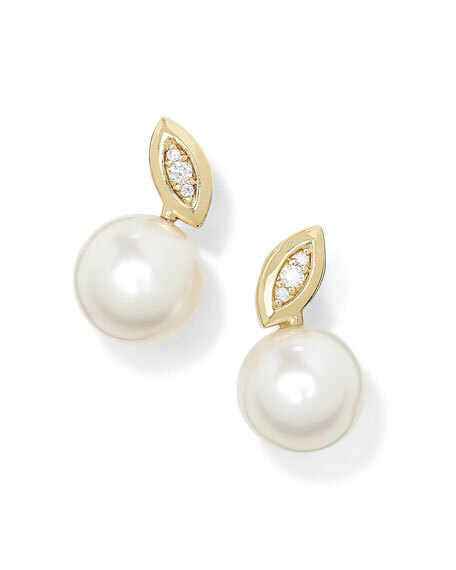 Ippolita earrings from the Nova Collection. Polished 18-karat yellow gold hardware. 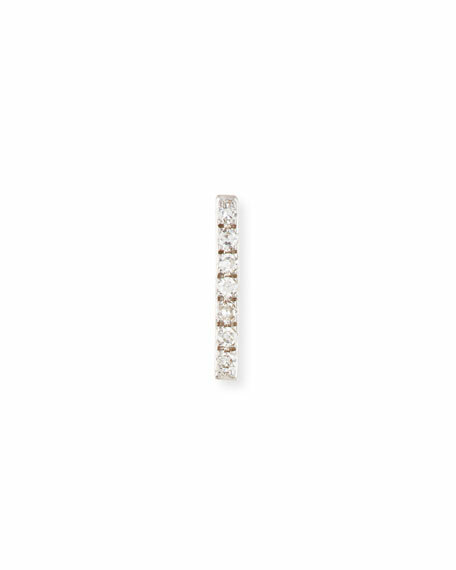 Marquise-shaped white diamond post. Round mother-of-pearl bead drop. 0.03 total diamond carat weight. Post backs for pierced ears. Approx. 0.6"L x 0.3"W.